After being unveiled back in January 2018 the Oculus Go virtual reality headset may be showcased by Facebook at its F8 conference taking place later this year on May 1st, 2018. 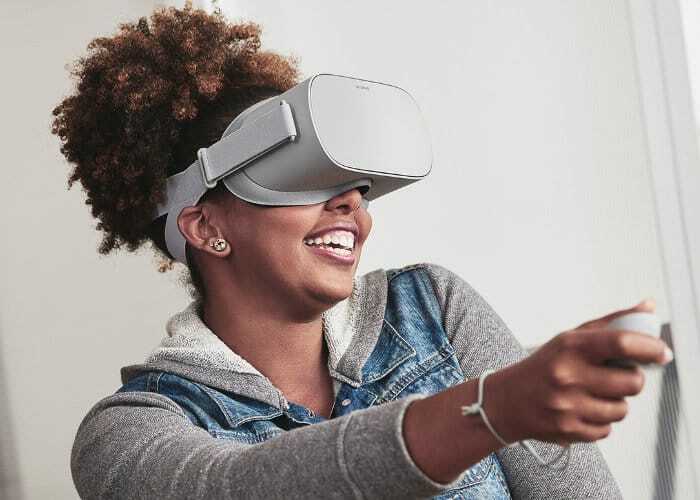 Designed to be the first mass-market virtual reality products the new Oculus Go has been designed to provide virtual reality immersion without the need for a smartphone or to be connected to a desktop PC. Today HTC has also announced the availability of their new higher resolution virtual reality headset in the form of the HTC Vive Pro, which is now available to preorder priced at $799 or £799. Shipping of the new HTC Vive Pro will take place on April 5th, 2018. Augmented reality and virtual reality development team Magic Leap have also announced that they will be soon unveiling details of their new mixed reality hardware, developer SDK and consumer applications, adding a new contender in the ever-growing VR and AR market. As soon as more information and launch date is announced by Facebook for their Oculus Go standalone virtual reality headset, we will keep you up-to-date as always. In the meantime jump over to the official Oculus Go website by following the link below.